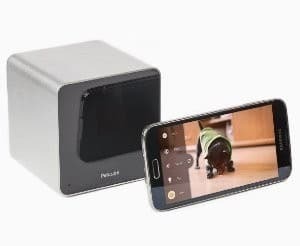 It was while one of my dogs was laying next to my desk the other day, that the idea for the next Geek Marketer Must Haves post came to me: Digital Pet tech accessories and gadgets. 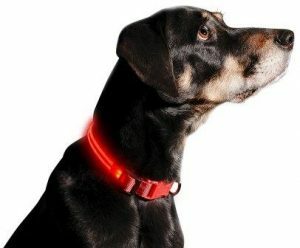 Here are some of the more interesting hi tech pet products and gadgets I have come across lately. I hope you enjoy and maybe get a few ideas for your pet. As always, you can find out more information about each product by clicking on the picture. Also be sure to check back occasionally as I will be adding more items to this slideshow when I spot more cool stuff. 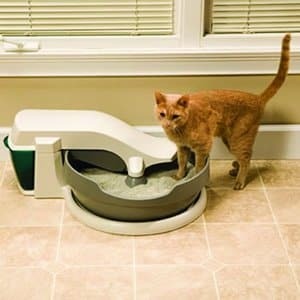 Simply Clean is an innovative, automatic litter box that continuously self-cleans throughout the day. The quiet, slow-moving bowl constantly turns, making one full rotation per hour. During this time, waste is sifted out and carried up the conveyor belt into the covered, removable waste bin. All you need is clumping litter, and the litter box does all of the work for you. Every pet deserves a cold one. Now you can give your pet the thrill of chill. Frobo is the first and only 24 ounce bowl that keeps your pets water cool all day long, so pets stay hydrated, healthy and happy. Dogs and cats (and most pets) naturally avoid stale, warm water, which can be a breeding ground for bacteria. 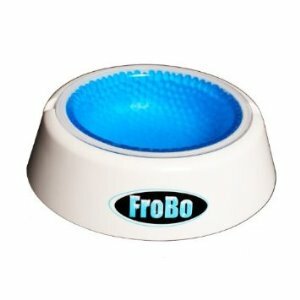 With frobo, pets will enjoy chilly, fresh water for 8 hours and even longer. Unlike fountain style bowls, frobo is compact, hassle-free with no batteries or electrical cords to worry about. Supplemental frobo freezer cores are also available so you can always have a frozen frobo on hand at all times. 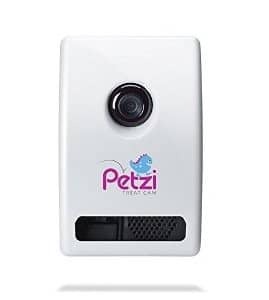 A unique, simple, innovative solution for every pet owner. Heavy duty microfiber to provides utmost protection and long lasting Use. >>Velcro openings to allow Use with seatbelts, car seats, and pet restraints. Built-in adjustable straps make for installation in almost any vehicle a breeze. 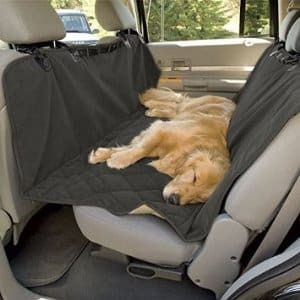 when not in-Use you can simply fold away into a compact size for easy storage.It Installs quickly and easily and when used as a barrier.Pet Hammock back Seat Cover is a great way to take your furry friend with you on the road while keeping your upholstery clean and protected. High quality dog car travel accessories pet seat covers Best dog car seat covers bench seat cover for Pets, Clean with a damp cloth or machine wash.
Tagg GPS Pet Tracker is the nation’s leader in GPS Pet Tracking Technology. Not to be confused with the common microchip, Tagg uses advanced GPS and the nation’s largest wireless network to help you to find your pet anytime and anywhere. 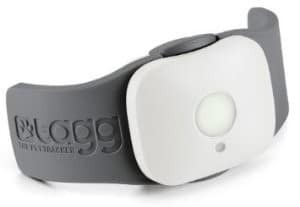 Additionally, Tagg can track your pet’s activity levels. 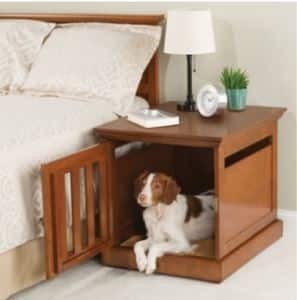 Give you and your beloved pet the safety and security you both deserve. 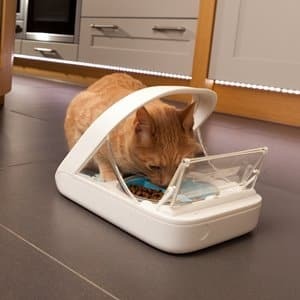 Ensures that the designated pets access their own food. Compatible with all worldwide implanted identification microchips, can store up to 32 in memory. Suitable for animals on prescription diets or weight management programs. Lid forms a seal ith the top of the food bowl keeping food fresher for longer and preventing flies from getting to the food. The original, patented design applies gentle, constant pressure, similar to swaddling an infant. 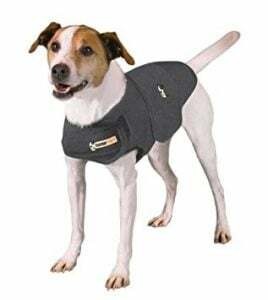 The ThunderShirt produces a dramatic calming effect for over 80% of dogs. The best part is there’s no training required. 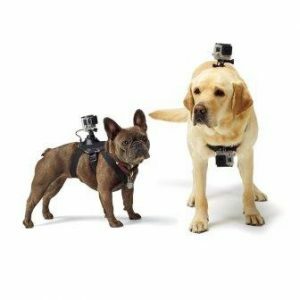 Mount your GoPro to your dog to capture the world from his point of view. This harness features two mounting locations for a variety of perspectives: the chest, for bone-chewing, digging and front-paw action, and the back, for over-the-head shots of running, jumping, fetch and more. Made of washable, water-friendly material, your dog can swim, play and get dirty without a worry. Soft, padded construction keeps your pet comfortable. 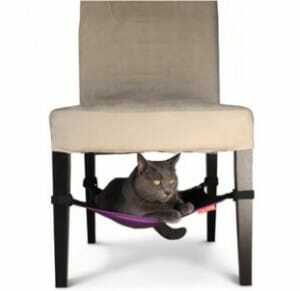 This is the space saving hammock that suspends below the seat of a chair to provide a comfortable spot for felines to hang out. The hammock’s patented design helps minimize clutter, blends into any décor, and saves space by eliminating the need for a bulky pet bed. 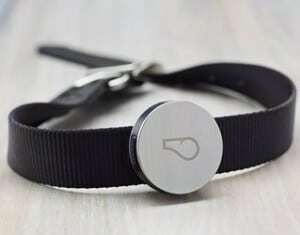 Power Pet doors are motor driven and activated by a tiny ultrasonic collar. Other electronic pet doors merely unlock a hinged panel, requiring your pet to push it open. That’s something that a lot of pets don’t like to do. Patented Power Pet doors open completely under their own power. They feature a translucent door panel made of a new super-strength, bulletproof resin. 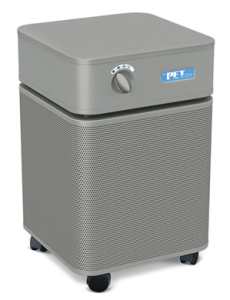 When your pet approaches, the air-tight panel quickly and quietly powers upward, disappearing into the stylish housing. Because the panel moves up and down and does not swing out, it can be mounted in hermetically sealed grooves for air-tight closure. This mounting arrangement makes it impossible for an intruder to kick it out. An automatic dead-bolt locking feature adds a higher level of security to your home. 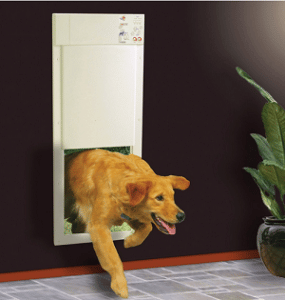 The result is the most secure pet door against intruders and stray animals. Your pets are empowered to come and go as they please. Their animal friends are politely asked to stay out. 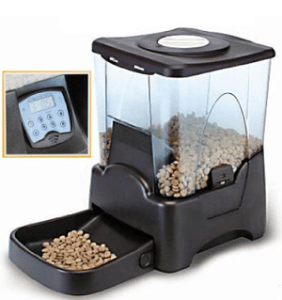 New topPets Large Automatic Dry Food Portion Control Dog Cat Pet Feeder (BRAND NEW) Features: Large volume – 45 cup (10.65L) capacity Feed from 1 to 99 days (or non-stop) Programmable portion sizes – 1/4 cup to 2 1/2 cups Programmable feeding from 1 to 4 times daily Smart sensor prevents overloading of feeding tray Pet-proof lock on lid Prevents accidental spillage Unique Anti-jamming feature Translucent hopper shows food level Tamper-proof clasps on hopper Record a personal message for your pet Alarm sounds when feeding schedule expires Detachable food hopper & feeding tray for easy cleaning Built-in clock with easy to read LCD Built-in microphone, speaker and low battery indicator. 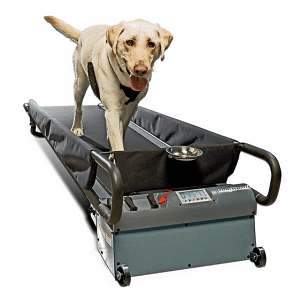 The Medium DogTread Dog Treadmill by PetZen is recommended for Dogs Up to 55-60 lbs. Are you searching for a solution to your dog’s behavior and fitness needs? DogTread by PetZen is the Answer. Sporty, sleek and whisper-quiet; DogTread by PetZen was specially designed to work with both your dog’s anatomy and behavior to satisfy your dog’s primal need to be walked the right way. The unique natural low-profile running platform with integrated console helps make Treading easy and fun to learn. This is the air filter specially designed to clean a pet owner’s home of allergens and odors cast off by dogs, cats, and other dander-producing animals. Its medical-grade HEPA filter contains 15 lbs. of activated carbon that captures 99.97% of particles larger than .03 microns, making a home more comfortable for allergy-suffering family and guests. The carbon blend incorporates ammonia-absorbing compounds that eliminate common pet odors and leave air smelling fresher.